Oh, to spend Halloween playing Pumpkin Ridge, the famed Oregon club whose Witch Hollow and Ghost Creek courses scare the knickers off the heartiest golfing souls. Instead, we’re summing up this weekend’s action from the pro tours while waiting for the trick-or-treaters to trickle in. Luckily, there’s plenty to report. Golf’s global reach was apparent as a slew of U.S. stars battled in Malaysia and Rory McIlroy won a non-official but highly lucrative event in China, where Taiwan’s Yani Tseng continued to terrorize her so-called competitors. We’ll make this week’s rundown quick. Gotta slip into our Carl Spackler costume for tonight. Bo Van Pelt: The 36-year-old has quietly become one of the PGA Tour’s steadiest performers, but has had trouble closing the deal when in contention. He practically slammed it on Sunday, winning the CIMB Asia Pacific Classic in Malaysia by six shots. Van Pelt’s final-round 64 earned him a cool $1.3 million and a big shot of confidence from beating Camilo Villegas, Vijay Singh, Robert Allenby and other stars in the Asian Tour event. Sergio Garcia: It’s fitting that on Halloween, we’re comfortable declaring this of the former poltergeist: He’s baaaack. Garcia followed up his victory at the Castello Masters with another at the Andalucia Masters, beating countryman Miguel Angel Jimenez by a shot. Home cooking has been kind to Garcia, who became the first Spaniard to win a stroke-play even at storied Valderrama. Rory McIlroy: The international man of mystery pocketed $2 million – golf’s biggest payday – by fending off Anthony Kim in a playoff at the Shanghai Masters. It didn’t get him any closer to Luke Donald’s No. 1 world ranking, but the win confirmed that McIlroy remains plenty hungry following his U.S. Open triumph. Yani Tseng: The game’s top female made the most of her own trip to China, winning the Suzhou Taihu Ladies Open for her 11th worldwide victory this year. That includes a pair of majors and marks Tseng the clear choice as golf’s most dominant player, regardless of gender. 450-yard par 4s: For the first time ever, average driving distance on the PGA Tour eclipsed 290 yards for an entire season (290.9 to be precise). To put that in perspective, Lee Janzen’s average tee shot in 2011 was 290.1 yards. In 1993, the year Janzen won his first of two U.S. Opens, he averaged 257.1. He was 29 then. He’s 47 now. Frightening how much equipment has changed, isn’t it? For a so-called gentleman’s game, golf sure can turn acrimonious. The latest examples include the revelation of a years-long, alpha-male spat between Greg Norman and Tiger Woods, and Rory McIlroy’s stunning split with agent Chubby Chandler. While no nasty words have been exchanged (publicly, at least) in the latter instance, it’s surely not an amicable parting. Who needs reality TV when golf gives us this kind of drama? All that, plus word on a jaw-dropping new course on the Chinese coast and an adult beverage bearing Arnold Palmer’s name and mug, in our weekly roundup of entertaining golf news. We were thinking Norman’s most recent comments about Tiger’s unworthiness as a Presidents Cup captain’s selection might have been spurred by Woods breaking the course record – shared by Norman – at the Medalist Club in Hobe Sound, Fla.
BTW, Norman designed the course, too. Double-ouch. Turns out the animosity between the two goes back more than a few weeks, according to this article by Robert Lusetich. Apparently, sharing Butch Harmon’s time when both were under his tutelage was more than these supposed grown-ups could handle. Norman tried to defuse the rancor in an email to Lusetich. “I have said this before and I will say it again, I hope Tiger does turn his game around,” Norman wrote. “It would be great for golf. Let’s hope not. We’re kind of enjoying this little spat. Another off-course bombshell dropped Friday morning, when news of McIlroy’s defection to Horizon Sports Management hit the wires. The 22-year-old U.S. Open champion spent his formative years with Chandler’s International Sports Management group, whose clients won four of five majors starting with the 2010 Open Championship. Chandler has been praised for his delicate handling of McIlroy’s career since the Northern Ireland phenom turned pro at age 18. No definitive answer yet as to why McIlroy jumped ship to Horizon, a relatively new firm based in Dublin whose stable includes Ernie Els and Graeme McDowell. Will this episode become another black eye for the likeable McIlroy, following his dismissive remarks about links golf and a Twitter spat with a TV announcer over McIlroy’s caddie? Or is it just another sign that McIlroy has an inner ruthlessness that belies his outward charm? Image be damned, that could bode well for his future. We don’t have much to say about the new Bill Coore-Ben Crenshaw course in Shanquin Bay, China, except that it looks spectacular. This being a Coore-Crenshaw design and seaside, to boot, it should draw plentiful attention from architecture aficionados. Darius Oliver has a detailed review and terrific pics at Planet Golf. Not sure about the sales prospects for the new Arnold Palmer Hard Malt beverage – half ice tea, half lemonade, and 5 percent alcohol – but I do know one golfer who won’t be trying it. That would be me. If Arnie ever slaps his name on a hoppy pale ale or toasty imperial stout, count me in. This weekend’s golf tournaments should’ve been broadcast on the Food Network. With ham and hot dogs flying on the European and PGA tours, we kept waiting for Alton Brown to take over the play-by-play. In case you missed it, the weekend started with Elliott Saltman winning a Spanish ham for his hole-in-one at the Madrid Masters, and ended with some lunatic tossing a frankfurter – bun and all – at Tiger Woods during the Frys.com Open. Too bad it wasn’t the Fries.com instead. The unusual spate of food-related news nearly overshadowed Bryce Molder’s clutch playoff victory over Briny Baird. Actually, Woods’ return from a two-month sabbatical did eclipse Molder’s breakthrough, at least in the eyes of media and fans. Bryce Molder: Since leaving Georgia Tech in 2001, Molder’s career has been one long cautionary tale. A can’t-miss kid who (mostly) missed, Molder was bounced from the PGA Tour in 2002, spent several years kicking around the Nationwide circuit, then played reasonably well on the big tour the past two seasons. The beauty of golf, though, is that second acts are common. Molder has clearly matured, evidenced by his gritty, six-hole playoff win capped by a cathartic birdie putt. Having waited until the ripe old age of 31 to grab his maiden victory, maybe Molder can finally start living up to all that promise. Tiger Woods: It’s tempting to stick him on the Silent Treatment list, what with Woods’ ho-hum tie for 30th at 7-under par. But he seemed to get things heading in the right direction after an opening 73, going 68-68-68 and briefly reaching the top 10 on Sunday. Everyone forgets how well Tiger played at the Masters, where he tied for fourth and appeared to have his swing changes nearly sorted out. If he can stay healthy long enough for Sean Foley’s teaching to really take, we could see something approaching the Tiger of old pretty soon. Briny Baird: We’re loath to relegate the likeable Baird to the jeers column; he did little wrong during the tournament proper or playoff, holing an eagle chip on 17 to send it to overtime. But Baird had the trophy in his grasp twice during extra holes, and couldn’t convert birdie putts from 8 and 12 feet. Still winless after 348 Tour starts, Baird doesn’t figure to get many more chances like that. Paul Casey: As the top-ranked player in the field, Casey looked like the favorite despite a two-shot deficit entering the final round. A charge never materialized, however, as Casey stumbled with a pair of sixes on the front nine en route to an even-par 71. He was the only player among the top 23 finishers not to break par Sunday. Cruising the web, perusing some favorite sites, using our golf-dar to identify random news items upon which to opine. It’s relatively quiet, aside from a certain player’s return to action (if not form) after a two-month layoff. We did uncover a few stories worth noting, however, including a contender for the title of: Best. Headline. Ever. When Elliott Saltman, a Scottish pro best known for his three-month suspension on charges of cheating, aced the third hole during the first round of the Madrid Masters, he won something better than a new Cadillac or BMW. He won his weight in cured Spanish ham. This fellow is no shrimp -- Saltman tips the scales at 240 pounds -- and this is no ordinary ham. Saltman’s hunk of hog is reportedly worth €8,000, or the equivalent of about $10,600. For that matter, he’s got enough to carve out a nice emergency ham, Homer Simpson style. American golf fans, desperately seeking one of their own to challenge the world’s top young guns, may have their man: Patrick Cantlay, the 19-year-old wiz kid from UCLA. Already verging on household-name status thanks to a brilliant summer, Cantlay added another notch to his belt in the first round of the Frys.com Open. Paired with Tiger Woods, Cantlay breezed to a 2-under 69 while Tiger struggled to shoot 73 in his first competitive round since August. It was nothing new for Cantlay, the NCAA player of the year as a freshman, low amateur at the U.S. Open, and owner of the PGA Tour record for lowest round by an amateur (60, at the Travelers Championship). Cantlay will return to UCLA for at least one more season at the collegiate level. Hopefully, he’ll soon challenge Rory McIlroy, Jason Day, Ryo Ishikawa et al for world supremacy. Golf Digest recently asked readers to name their most frustrating shots. Not surprisingly, the shank was the “winner,” beating out the humiliating whiff, soul-crushing yip and humbling top. We didn’t vote, but agree that the shank is the worst of the worst. Unlike a whiff or a top, the hosel rocket often ends up unplayable. And while the yips are equally hard to shake, there’s an easy way around them: just pick it up and call it good. If your partners/competitors complain, ask them if they really want to watch you miss another 2-footer. The yips are contagious little buggers. Who’s making news in golf this week? Who else? As we write this, the top eight headlines on golfchannel.com involve Tiger Woods. Among other topics, there’s his new endorsement deal with Rolex, his pending appearance at the Frys.com Open, and Rocco Mediate’s recent comments on the state of Tiger’s game. Geez, not even the president gets this much attention. Take Tiger out of the equation and things are relatively quiet around golf. Of course, that’s like saying if you take the sauce off your spaghetti, all that’s left is pasta. No doubt Tiger’s knee troubles and swing changes have something to do with his two-year winless streak. But to assert that Tiger’s psyche is the same as it was pre-scandal is crazy talk. Our take: Tiger isn’t playing like his old self because he doesn’t feel like his old self. Where he once thrived on being the center of attention, he now feels vulnerable – exposed, even -- when all eyes are on him. No longer bullet-proof between the ears, Woods now bludgeons putts he would have gutted in his glory days. 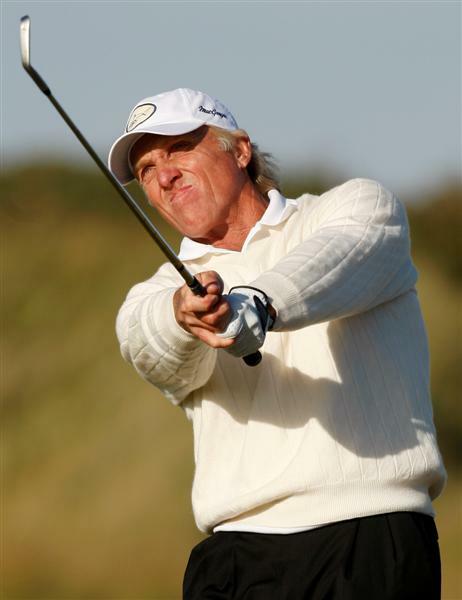 Maybe Rocco’s right and Woods just needs to get the old swing plane straightened out. We think he needs a different kind of therapy. Another golf trend we like: Following up on last week’s post, it’s great to see the fun, creative things being done with short courses these days. Next year Bandon Dunes Resort will open a par-3 course called Bandon Preserve, designed by Bill Coore and Ben Crenshaw. It should jump immediately to the top of best-of lists everywhere. The Golf Purist has more details and a sneak preview of the scorecard. At the Prairie Club in Nebraska, the Horse Course is a 10-holer inspired by the basketball game of horse. There are no tee boxes, so the player with honors chooses where the next hole is played from. Independent Golf Reviews has photos and a rave review of the Horse Course, at the bottom of a full write-up on the up-and-coming resort. Luke Donald finally three-putts: The world’s No. 1 player went 449 holes without three-jacking before his streak ended last week during the Alfred Dunhill Links Championship. Imagine how good he’d be with a belly putter. The new Brangelina: The golf world’s collective gag reflex got a workout with the news that Rory McIlroy had given his girlfriend, tennis star Caroline Wozniacki, a wedge inscribed with the couple’s pet name: WOZZILROY. Guess LET’SMAKEEVERYONEPUKE wouldn’t fit on the club. Technically, that’s the Justin Timberlake Shriners Hospitals for Children Open. Cool host. Wonderful cause. The title? Not what you'd call headline-friendly. Sorry, that’s the best we could do on deadline. Luckily, Na himself showed a lot more moxie under the gun. With Nick Watney breathing down his neck on Sunday, Na birdied 15, 16 and 17 at TPC Summerlin to pull away and win by two. Think his nerves were wracked with that precious first win within grasp? Kevin Na: The 28-year-old ensured that the 16 he recorded at April’s Valero Texas Open won’t be his claim to fame for 2011. A notorious slowpoke on the greens, Na made every second count Sunday, especially on 17. When his 42-foot birdie putt toppled into the hole, it effectively ended Na’s eight-year, 211-event Tour winless streak. Here’s hoping he keeps it up; we want a few more cracks at that headline. David Duval: The enigmatic one made a rare appearance on the leaderboard, finishing T23 despite taking double-bogey on the 72nd hole. Duval has made just nine cuts in 21 events this season, but we’re still rooting for a return to form. Hey, anyone with the guts to come out to his fellow Tour players – as a Democrat, that is – shows the kind of courage that’s all too rare these days. Tim Herron: We love “Lumpy” as much as the next golfer/couch potato, so it was painful to watch his chances of winning the Shriners drown on No. 16. The double-bogey cost him a shot at winning for the first time since 2006, but he still holds a place in our cholesterol-clogged hearts.